many more apps that can distract consumers. deploying iPhones in January. More worrying for RIM is the fact that broken Blackberrys are not being replaced. 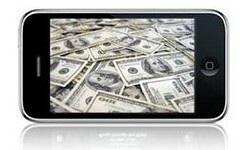 Supporting and purchasing devices as a business tool is proof that Apple’s growing sales figures are closing in on RIM’s smartphone dominance. Blackberrys are seen as reliable email and phone devices, but it appears that the company’s efforts to update software and add features have not been able to keep up with innovations Apple has made with the iPhone. According to the Journal, Apple’s efforts to protect the information on lost and stolen iPhones and its compatibility with Microsoft exchange email since 2008 have made it more business friendly.